One of the most listened songs of Christmas in Japan is Maria Carry’s “All I want for Christmas is you”. Westerners normally celebrate the days with their family members. 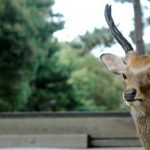 However, Japanese people are likely to spend the days with a partner. 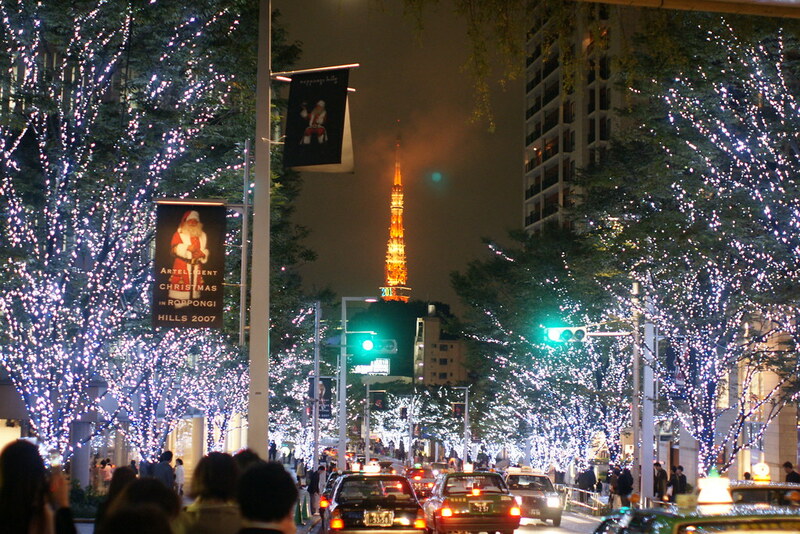 The popular places are romantically presented with astronomical numbers of colorful tiny lights balls. Couples hold hands together and walk around the beautifully decorated locations. 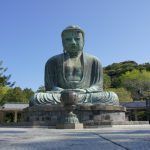 This is a common cityscape of Japan during the periods. 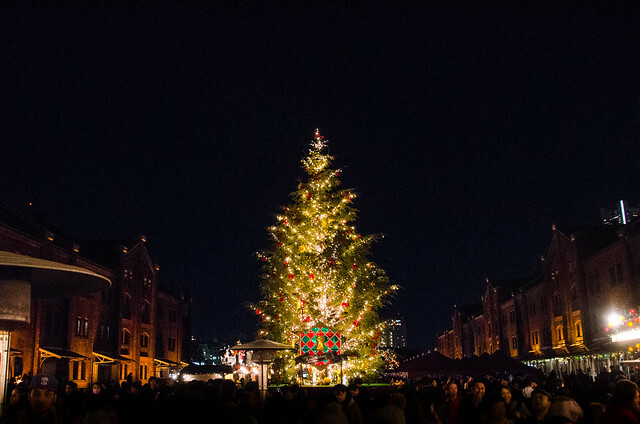 We would like to introduce some popular Christmas lights spots in Tokyo and Yokohama! 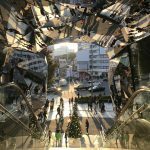 The international town of Tokyo. 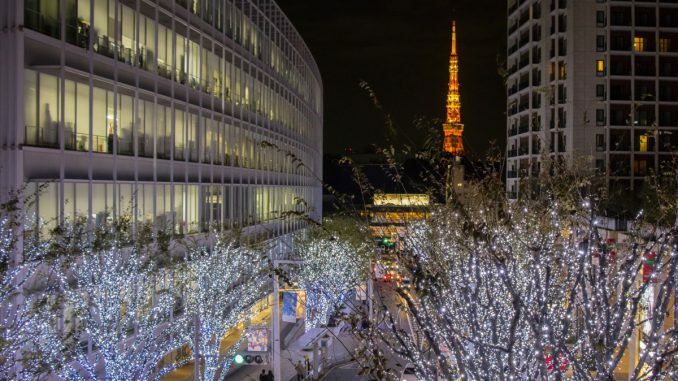 Keyakizaka Street of Roppongi Hills area has a reputation of Christmas lights decoration since it was established. Tokyo Midtown will have outstanding lights field on its gardens. The front area of JR Tokyo station building. Holds relatively warm atmosphere with champagne colour lights and the historical brick architectures. The popular dating spot, Odaiba islands, will present a beautiful combination of the Christmas lights and the rainbow bridge cross over the islands and the central Tokyo. The international high brand shopping town celebrates the days with the decorated lines of trees alongside the main street. Crowded with people are looking for their Christmas presents. This Christian university decorates their proud huge Himalayan cider trees for every Christmas day. Their building also holds very western outlook. You may feel you are in your hometown. 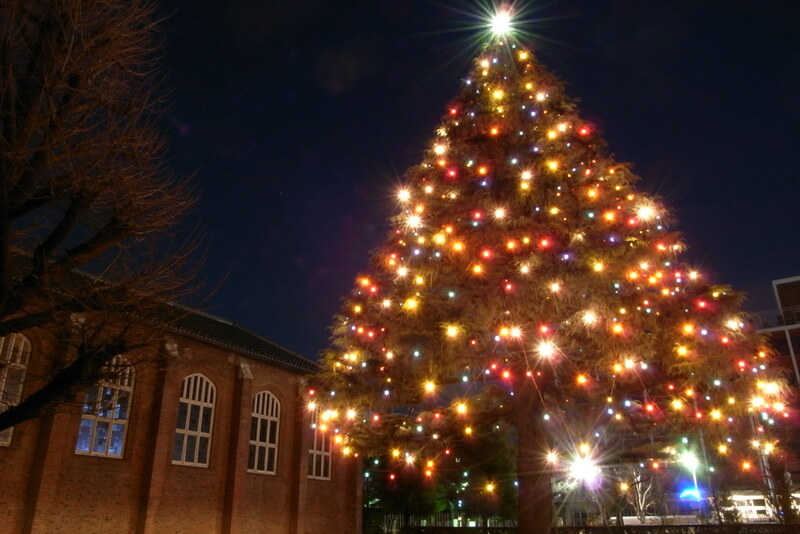 Visiting lighted up parks during winter seasons is a trend leisure for Japanese people. Their presentation is beyond the simple Christmas lights. Yomiuriland is the theme park in west end of Tokyo. Their winter lights festival concepts jewellumination. This is a created word mixing up Jewel and Illumination. The whole park will be lighted up with 5.5million lights balls. 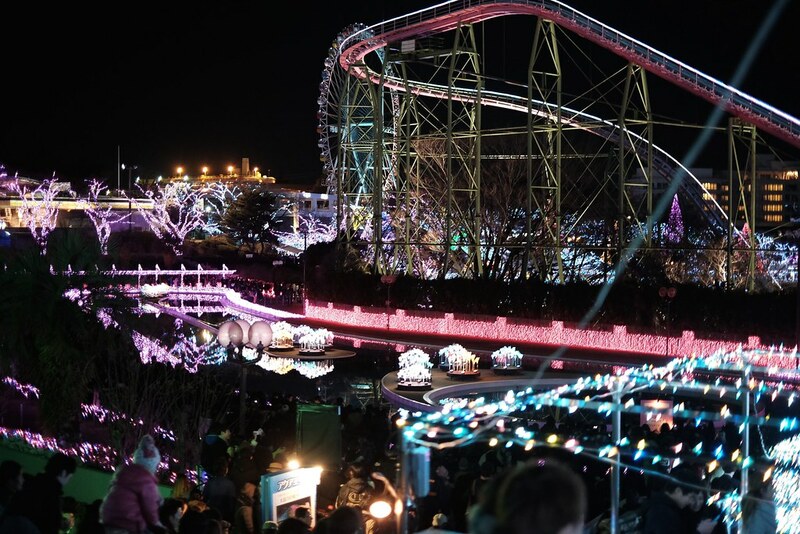 The attractions such as a Ferris wheel and a roller coaster are even covered with thousands of lights balls. 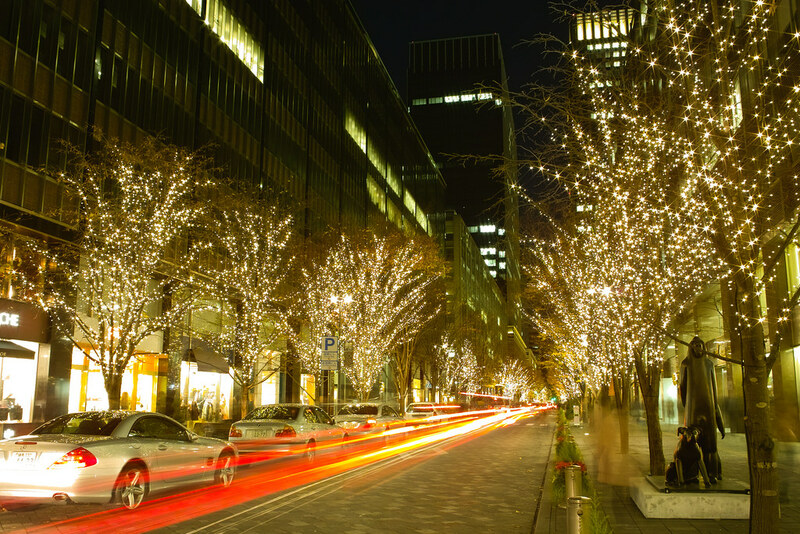 This national park main street has lines of ginko trees with Christmas lights. 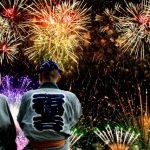 The period between 23rd and 25th of December, fireworks will also coloring the night sky and celebrate the festive evening. 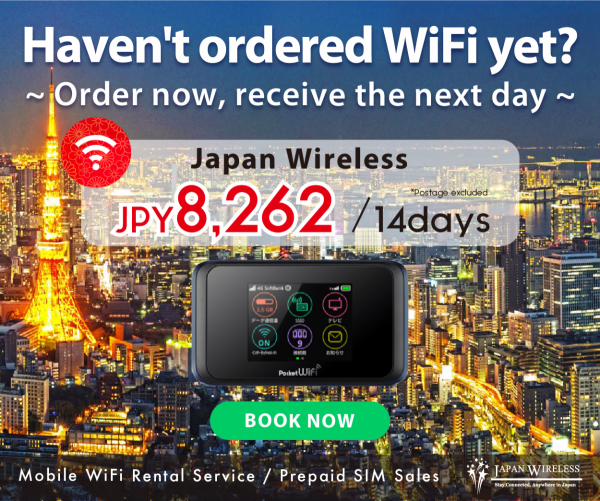 Yokohama is the city of the residential area for westers in the past. The harbor side of Yokohama port has still kept the overseas atmosphere from the time. Particularly, the red brick warehouses are the historical heritage from the early 20th century. The garden has lighting-up and decorated. The front park of the building has gorgeous Christmas lights, Midtown Christmas 2017. The hotel garden has lighting-up. 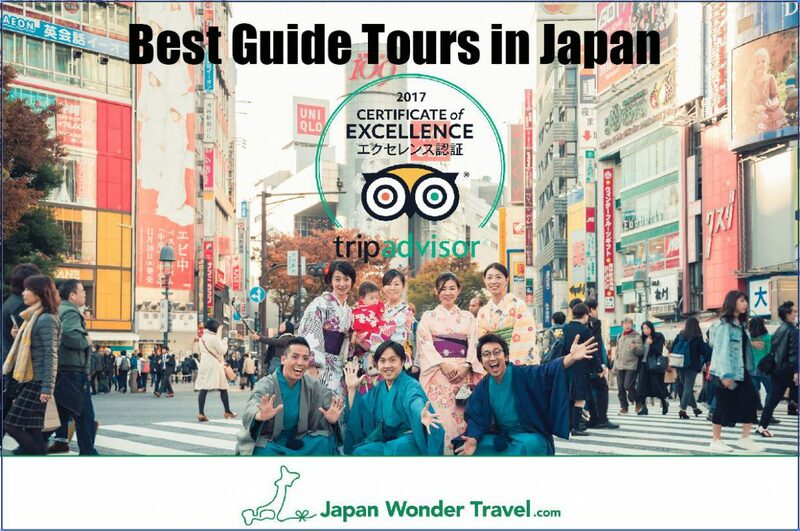 The best 5 fireworks experience around Tokyo in Summer.